Mobile apps have revolutionized the way customers interact with businesses and vice versa. They are the latest interfaces for reaching out to the tech-savvy urbane customers who are quickly spreading across various economic and geographical strata. Having said that, there are so many apps around now that making your app stand out in the ocean is not as simple as creating and launching it. One of the most fundamental aspects of the app world to understand is the choice of available operating platforms on which the apps are supposed to run, their similarities and differences. Without sufficient due diligence while building your cross-platform apps, you can be rest assured of your failure. Here we present some simple tips to ensure that your cross-platform app development produces an app that is highly compatible with all the leading mobile OS such as iOS from Apple, Android from Google and Windows from Microsoft. 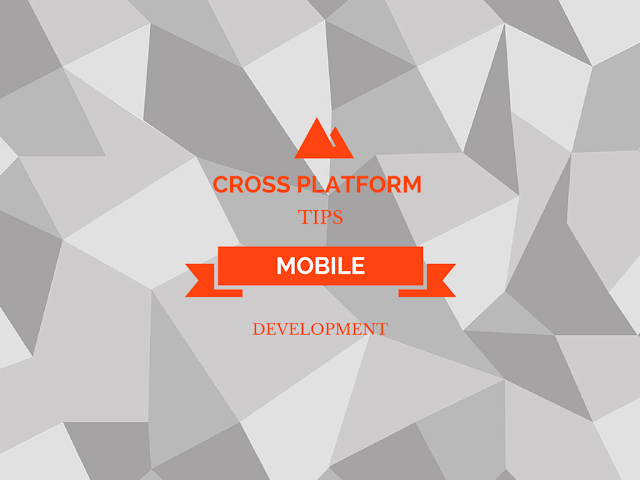 There are plenty cross platform mobile app development frameworks and mobile developer tools, however these tips should help you create better mobile apps in any environment, framework or platform. Adherence to these tips is no guarantee for success; however, failure to comply with them would definitely cause unexpected and undesirable user experience which would push them away. Native Mobile Apps are those that directly interact with the underlying OS, which makes them considerably faster in execution, highly reliable and more secure. The other option is to create web based apps which do not provide the level of flexibility and performance that comes with native mobile app development. Web apps also do not provide complete interaction with mobile phones, such as accessing the phone’s GPS or camera. Your cross-platform app needs to work well on all the platforms. But this requires that you start testing your code earlier and frequently on all the target platforms. Your code will always have platform specific elements that work differently on different platforms. The code will also have platform agnostic elements that will work consistently across all platforms. All these aspects need to be tested from the very beginning to ensure visual consistency of fonts, colors, object placements and GUI layout. A cross platform app that is not tested sufficiently on one of the platforms may also crash frequently on that platform. Here are some useful mobile app testing tips. The app developer must wear user’s hat while developing the app because delinking the app from the users is a costly mistake. So the app developer must ask critical questions “what does the user really want? Is the navigation user friendly? Is the app intuitive enough for the user? Does the app feel right?” etc. Finally ask whether you love your app, because if you do, chances are that your users will also love it. By regularly interacting with the users of the app, you increase the chances of your own success and their delight. Do not keep the users waiting for small fixes for a long time just because you prefer releasing them with major enhancements that come twice a year. Mobile users nowadays prefer smaller quick fixes that are not too heavy on the bandwidth and at the same time help fix small annoying bugs. Your bug fixing and enhancement strategy needs to align with this expectation of the users. Different mobile OS may render the same visual elements differently. So it is important for the app developer to play with different app layout per OS. Chances are that each of these layouts in specific OS would look different and yet beautiful. For example, the Evernote App has a different layout in iOS, Android and Windows Phone, and all are elegant in their own right. Learn and understand the underlying OS to the extent possible. Also understand the difference between the key operating platforms, namely iOS, Android and Windows interact with the same piece of code. Follow up on the latest releases and patches of these OS to keep a track on the issues fixed and enhancements released, and test the implication of these releases on your app. The importance of such a follow up and impact testing cannot be emphasized enough. As a developer, it is great to love a particular platform that you feel connected with. However, while developing a cross platform app, you should not allow your love and bias for one platform to negatively affect the quality of the code and its compatibility on the other app. Try to appreciate all the platforms for their strengths and limitations. Learn to compare these platforms objectively without criticizing them, else your bias for one of the other platform will affect the quality of the app on the platform that you do not like. Graphic designers that develop the user interface (GUI) of the cross platform mobile apps must work closely with the app developers to understand the finer nuances of each platform including how the visual rendering is done and the navigation is best executed. If you are a programmer working with designers, then make sure that you educate them about these finer points of each platform. Once the graphic designers understand that each platform has a unique way of rendering the screens, implementing navigation and laying out the information. Actually the differences are more intricate than the above mentioned ones but it is important to let the designers understand them so some of these smaller problems can be weeded out at the design stage itself. This ends up saving a lot of critical time and effort during the development stage, which is an overall win for the customers as well as the app development company. Finally, remember that these tips are hygiene factors. When you have taken care of these, the users may or may not appreciate because they have come to expect cross platform compatibility from your app. However, if these are absent, users will definitely complain and be dissatisfied.